dancers fill halls every week, animated by live string bands playing jigs and reels. 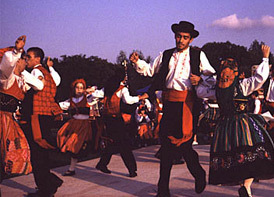 Portuguese Rancho Folclorico groups gather at annual picnics, dancing in colorful embroidered costumes. With exquisite gestures, Cambodian dancers perform passages from ancient epics. 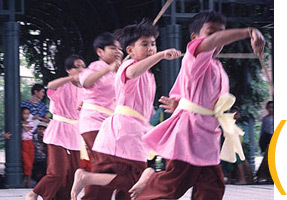 Traditional dance from all over the world is flourishing in the halls, homes, streets, and parks of Massachusetts.